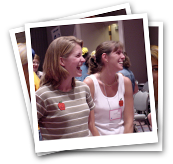 Whether you are seeking ways to fund your Kagan training or resource purchases, you have come to the right place. This site contains a variety of articles, websites, grant searching databases, and funding sources to help you with all your grant and funding questions. The resources provided here are designed to help narrow your grant search, provide sample narratives and research to use as a reference, and get you started in the right directions on the grant writing and application process.